Unreal Lawns supply and install artificial grass in Sale and the north west of England. We serve domestic and commercial customers in the area, with products suitable for a wide range of applications from outdoor spaces and gardens, to event areas, exhibition space and more. See below for some examples of projects we've carried out in the Sale area. Gardens are a key feature for most people when it comes to their home. It provides you with your own outdoor space, to enjoy and appreciate. Unreal Lawns were contacted by an elderly lady in Sale, Manchester, who loved spending time in the garden but could no longer manage the upkeep. We went to look at the garden and suggested the use of supreme artificial grass. This would keep the luscious green look that she had worked hard to maintain over the years but with none of the high maintenance that comes with a natural lawn. She was over the moon with the finished project and was delighted to be able to look forward to spending more time outside without the worry of having to maintain her garden. 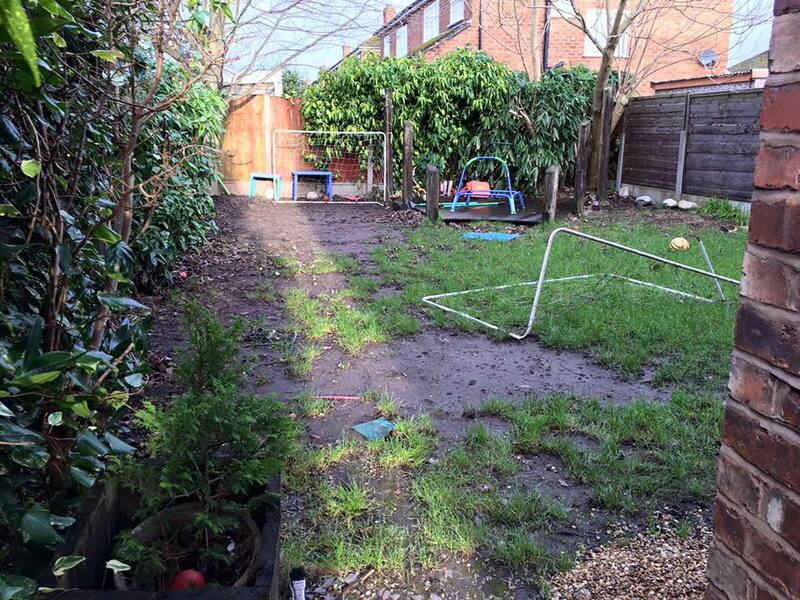 Unreal Lawns were contacted by these homeowners in Sale, Manchester to transform their muddy and worn-out back garden. 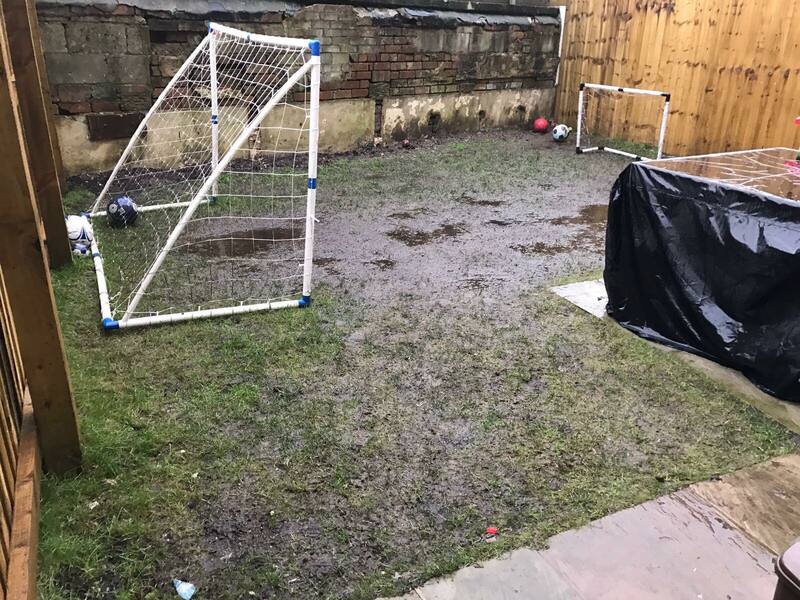 The previous lawn had become a bog due to heavy use from the kids playing football, and was no longer safe or clean for them to use. 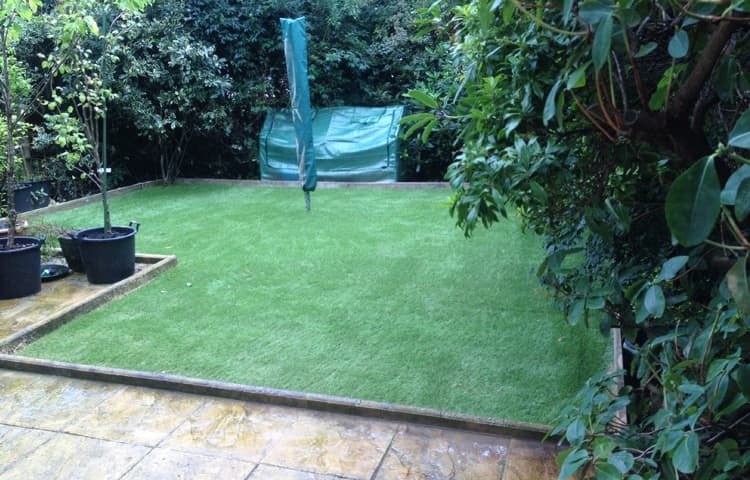 Using our top of the range Supreme artificial grass, we transformed the space into a child-friendly play area. The new lawn is neat, green and will withstand all the use by the children. As you can see from the photos, they were delighted with the new lawn. Unreal Lawns were approached by a customer in Sale whose lawn had become completely unusable due to waterlogging. We installed our artificial grass to bring life back into the space. The result is a neat and green lawn that’s able to be used all year round. The children were over the moon with the new lawn, and were happy to get back out and play football as soon as it was completed.